Directions:Via TX-99/Grand Pkwy -- Take the exit toward Telge Rd. Turn left onto Telge Rd. Turn right onto Coles Crossing Dr N. Turn right onto Mierwood Manor Dr. Turn right onto Bauer Ridge Dr. Property will be on the right. SchoolsClick map icons below to view information for schools near 16006 Bauer Ridge Dr Cypress, TX 77429. Home for sale at 16006 Bauer Ridge Dr Cypress, TX 77429. Description: The home at 16006 Bauer Ridge Dr Cypress, TX 77429 with the MLS Number 14528854 is currently listed at $349,000 and has been on the Cypress market for 5 days. 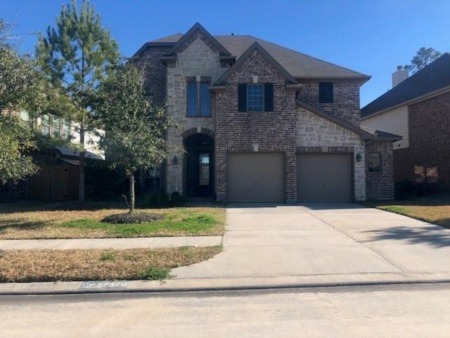 You are viewing the MLS property details of the home for sale at 16006 Bauer Ridge Dr Cypress, TX 77429, which is located in the Coles Crossing subdivision, includes 4 bedrooms and 4 bathrooms, and has approximately 2955 sq.ft. of living area.